Dr. Aquilina has always been fascinated by the electrical system of the heart since his first exposure to clinical medicine in school. Now as a Cardiac Electrophysiologist, his favorite part of the job is meeting new people and improving their quality of life. 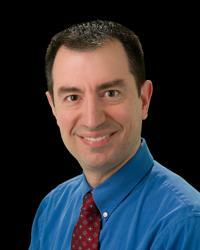 He enjoys helping patients navigate the often confusing field of cardiac electrophysiology and rhythm management. He feels it is very satisfying to eliminate a cardiac arrhythmia or help a patient with advanced heart failure breathe better. In his free time, Dr. Aquilina enjoys spending time with family, food and travel, home improvement projects and computers/IT. I've had very good experiences with each visit. He did everything possible to save my life. Thanks. I have recommended Dr. Aquilina to someone, and he has an appointment next week. Dr. Aquilina is knowledgeable and professional. I feel extremely safe in his care. Would recommend to others. Nurses & doctor should make more initial contact. Was in front of computer instead of facing patient not too personal feeling.